If I stepped out there and did this on my own, I would not have the resources I have and quite honestly, I would spend a lot more than the royalties I may spend dealing with a franchise system. The future is bright! I can't think of a better time and to have the support of a global, not just a national, but a global system behind us. Who helps us with programs, tools, training, consultative advice, and compliance, to help us grow to where we're not having to do it all ourselves. BE A LEADER WITH THE LEADER - Join Right at Home, an international home care franchise with more than 500 locations serving tens of thousands of people every day. SUCCESS WITH SIGNIFICANCE® - When you become a Right at Home Franchise Owner you can take pride in changing people's lives for the better. As you improve the quality of life for your clients, you achieve fulfillment in your everyday life as well. WHAT YOU DO MAKES A DIFFERENCE - As the CEO of your own business, you will help families to create a customized care plan that matches your client's needs and budget. You will assemble a team of care givers and be the face of the brand in your community. We Are Innovators In The Home Care Industry. RightPeopleSM - The personal care of a friend with dedicated local owners and trained, committed, and compassionate caregivers. RightServicesSM - The care they need when they need it with a wide range of services and flexible scheduling. RightApproachSM - A personalized Care Plan managed by professionals with caregiver matching based on a thorough assessment. RightMissionSM - A resolute passion to improve the quality of life for those we serve means peace of mind for our clients and their families. As your business grows, so will your staff. Most Franchise Owners scale their office staff to manage the day-to-day operations, allowing them to focus on the strategic priorities. 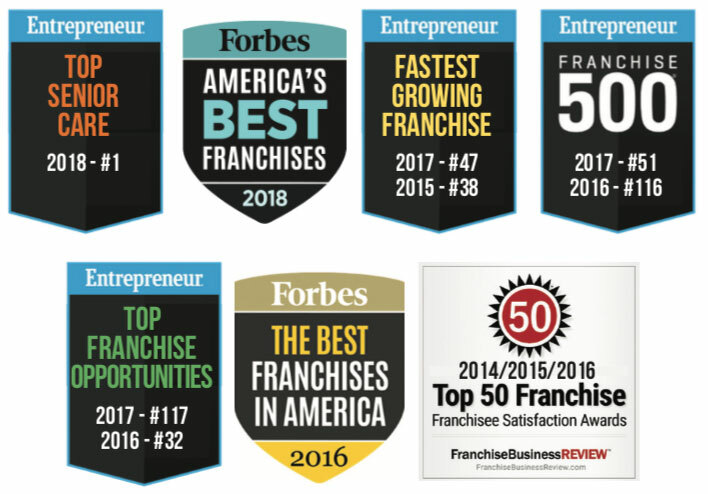 Thank you for your interest in a Right at Home franchise! Please fill out the form on this page to to receive our franchise kit and a member of our franchise development team will contact you. Looking for more information about Right at Home? Take a moment to fill out our quick information request form.